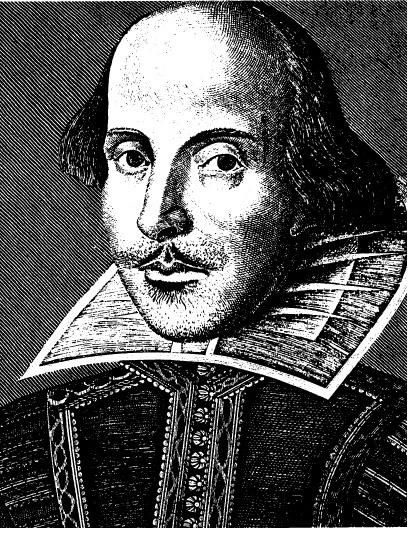 "Shakesepeare has had a profound influence on my life. The first play I saw was King Lear at 13. In my Freshman year at Cupertino High School I was recruited to be in the annual Shakespeare play. My theatre career began in the Summer of 1976, when I acted in three shows for the Berkeley Shakespeare Festival (now California Shakespeare Festival). A year later I was hired as the Festival's first employee and served as the General Manager through 1979". James P. Reber has been a leader in the Bay Area's non-profit community for over two decades, beginning his career as General Manager of the then-fledgling Berkeley Shakespeare Festival. He has since worked as an Executive Director numerous times, produced over a hundred special events, and served as a management and fundraising consultant to a variety of non-profit organizations. Raised locally in Santa Clara Valley, he graduated from Cupertino High School, briefly attended West Valley College, and served four years in the U.S. Navy as a photographer and Race Relations Counselor, for which he received a commendation. He completed his education through classes taken while in the Navy and then attending the University of California at Berkeley. Mr. Reber was the first employee at the Berkeley Shakespeare Festival (now California Shakespeare Festival), where he began his career shortly after graduating from UC Berkeley in 1977 (BA Sociology). In fact he began work as BSF's General Manager five days after graduating from Cal. A self-described "non-profit entrepreneur," James P. Reber has produced events of every size and scope and has started a number of non-profit organizations. He is the founder of San Jose Repertory Company and a co-founder of the San Jose Arts Round Table. Beginning in late 1979 with a rented typewriter, an idea, and a few community supporters, James Reber planned to create the first resident professional theatre for San Jose. By January 1981, San Jose Repertory Company opened to the theatre-hungry patrons of Silicon Valley. Within a few years, San Jose Rep became the fastest-growing professional theatre in the United States. The rapid growth far exceeded the plans that Mr. Reber had made and the custodianship of the theatre was successfully passed on to new leaders (Timothy Near, Alexandra Urbanowski, et al), truly belonging to the community. Today the Rep continues to provide high quality professional theatre. Mr. Reber has raised more than $20 million in Silicon Valley during the past 23 years. As the producer of the Santa Clara County Walk For AIDS for seven years, led the annual efforts, which have raised over $2.4 million for local AIDS programs and services. He served as the Founding Executive Director of San Jose Inner-City Games (now called: After School All-Stars), Arnold Schwarzenegger's national charity. He produced, Raise the Roof, the opening of the San Jose McEnery Convention Center in 1989, the Opening of the Fairmont Hotel in 1987, and San Jose New World Festival 1990 (which begat San Jose America Festival), and the Mayor's State of the City Convocation in 1993. He also has produced major fundraising dinners for MACSA (35th Anniversary Dinner), Mexican Heritage Corporation, and the Hispanic Charity Ball. He was the Creative Director on the documentary film San Jose: A City Center Emerges, which chronicled the history of redevelopment in San Jose in the 1980's. He served six years on the San Jose Convention & Visitors Bureau board of directors, and is a recipient of the San Jose City Council's Distinguished Citizen Award. In 2000 he was included as one of the Millenium 100 by the San Jose Mercury News, The Millenium 100 was a compendium of persons from the 20th century (mostly) who made significant contributions to life in Silicon Valley. James Reber was included for his contribution to the Arts. Mr. Reber remains dedicated to performing the highest quality work and to helping build a better community for tomorrow. James Reber is a very experienced public speaker. Having begun to study of the art of public speaking while a student at Cupertino High School, Mr. Reber has given literally several hundred speeches throughout his career, from presentations to local service clubs to keynote speeches at professional conferences. He has also served as an emcee multiple times at various events from fundraising dinners and auctions to black tie awards shows. Mr. Reber is an experienced traveller, having led several Arts and Cultural Tours to various European countries. He has also travelled to Asia to recruit artists, is a frequent visitor (and sometimes tour guide) to Mexico, and has travelled throughout the United States, primarily in the furtherance of experiencing art and meeting artists. Mr. Reber is fluent in Spanish, and proficient in Italian and French. His involvement in the San Jose/Dublin Sister City relationship have made this international exchange a very strong long-term friendship. Beyond mere visiting, San Jose Rep has had artistic exchanges of personnel and plays with The Abbey Theatre (Ireland's National Theatre, based in Dublin). After spending a brief tenure in 2002 as the executive director of an arts education organization, Mr. Reber returned to producing events and consulting with non-profit organizations in 2003. Working in partnership with Stephanie Schiro Ronco, Mr. Reber co-produced the Opening of the New San Jose City Hall in October, 2005. Recently, Mr. Reber produced the second State of the City Community Breakfast for Mayor Chuck Reed and the San Jose City Council on January 16, 2008. In 2007 he produced both the Inauguration Ceremonies in January, as well as the State of the City Community Breakfast in March.